Retromobile 2017 shaped up to be quite an unusual event: for the last year, Peugeot, Citroën and DS have been working together – at the behest of the PSA Group – on protecting, managing, developing and promoting the heritage of its brands. For the very first time, Peugeot, Citroën and DS Automobiles gathered together under the same roof across a 1200 m² space, with classic cars brushing shoulders with concept cars and club cars. For several months now, all driven by the same enthusiasm, the Amicale Citroën et DS France and Aventure Peugeot clubs have been meticulously getting their vehicles ready. 20 "club" vehicles were selected, according to certain themes chosen by the brand: the number 3 for Peugeot (an opportunity to provide a reminder of the numbering systems used at Peugeot), utility vehicles for Citroën and colour for DS. In a friendly "village" area, visitors were be able to stroll, dream and have their emotions stirred as they discover unique vehicles from days gone by, concept cars and other vehicles that have been magnificently preserved by clubs. They could chat with other enthusiasts and representatives from clubs and brands, immersing themselves in history, discovering or rediscovering all the values and the richness of the past… as well as casting an eye towards a future that looks promising. The Golden Scarab – a 10 hp Citroën B2, model K1, which was the first Citroën to cross the Sahara Desert in December 1922. 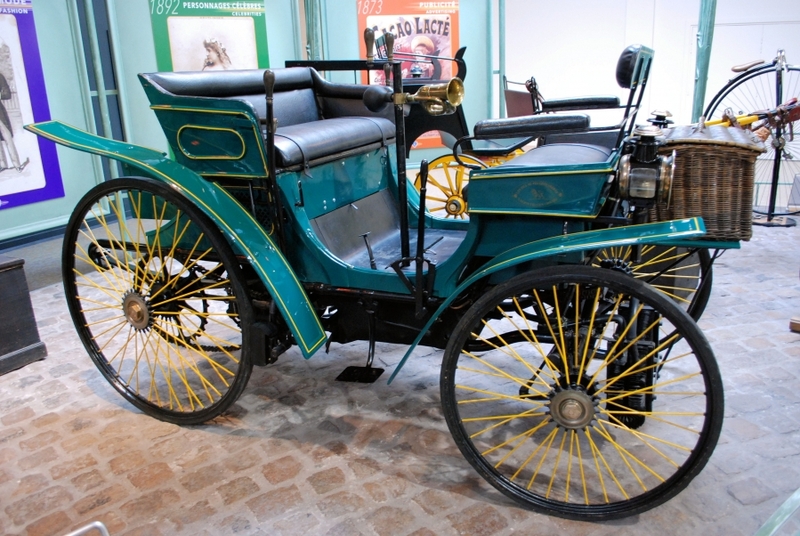 In 2016, the “Voitures et des Hommes” association issued a challenge to students from the ENSAM School of Engineering and the Château d'Epluches secondary school to reconstruct an exact replica of the car. These youngsters will be spearheading this major project which is all about bringing together heritage, expertise and youthful enthusiasm. The rebuilt model will be revealed in 2019 as part of celebrations to mark 100 years of Citroën. Henri Auger, a loyal volunteer who has been giving up his time for the Aventure Peugeot association for 20 years now is delighted to be presenting a Peugeot Type 3 automobile – the first Peugeot model to be mass-produced in 1891. “This model is a reminder that Peugeot has been around since 1810, and confirms the key role it played among pioneers of motoring". Another two vehicles presented outside of theme 3 alongside this important precursor: the PEUGEOT SR1 concept car, unveiled at the Geneva Motor Show in 2010. It has been a trendsetter, leading the way for the styles of future Peugeot models and embodies the new Peugeot universe. And the Peugeot 504 – a mid-size car shown in race conditions which will take part in the 26th Tour de France Automobile this year. The Aventure Peugeot Citroën DS association exhibited a 1972 Simca 1100 that volunteers from the Collection Aventure Automobile de Poissy presented to mark 50 years of the famous SIMCA model, a brand which is now part of the PSA Group. The Amicale Citroën et DS France association is chaired by Alain Thuret and groups together more than 10,000 collectors in France from more than 50 clubs and federations. It exhibited a selection of utility vehicles – somewhat rare for an event such as Rétromobile. Citroën exhibited its SpaceTourer HYPHEN – a concept vehicle designed to represent the bridge between the past, the present and the future – as well as between utility vehicles and tourers. A number of other surprising unique vehicles will be on show alongside this one: a Citroën Traction Commerciale, a "florist" version of the CX, a "firetruck" version of the Citroën Méhari and a C4 transformed into a breakdown vehicle. For DS Automobiles, it was all about colour! In 1955, at the Grand Palais, the DS’s colours had caused quite a sensation when it was launched. Enthusiasts saw one of the very first DS 19s – decked out in the pastel shades which brightened up our roads at the end of the 1950s. The SMs wasn't left out either: a red Lucifer will feature, together with a beige Tholonet imported from Japan! 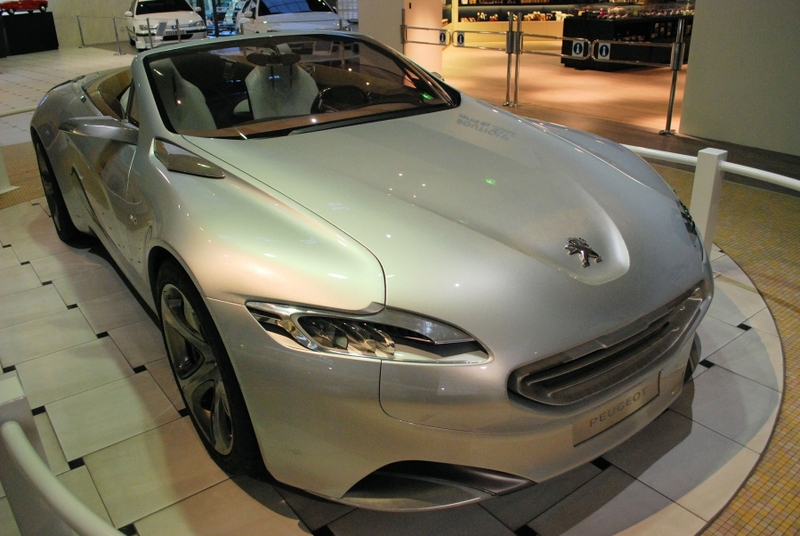 As is the case with the other two makes, DS exhibited its own concept car: the DS E-Tense. Combining all the authenticity of artisan expertise with creativity born from innovative digital technologies, this unique car is a prism through which the future of DS Automobiles can be spied – a future infused with sophisticated technologies and refinement. Its metallic Ametrine green exterior brightens up the sculpted appearance of this high-performance GT.